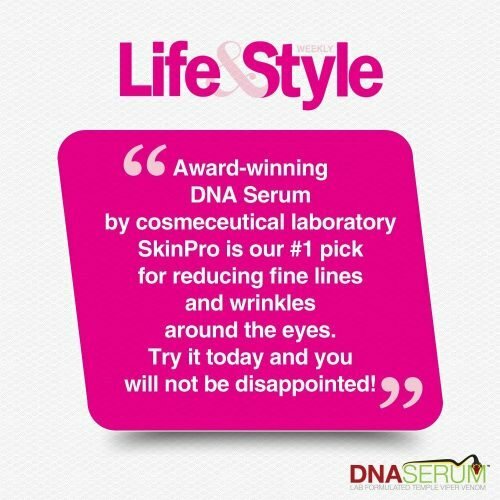 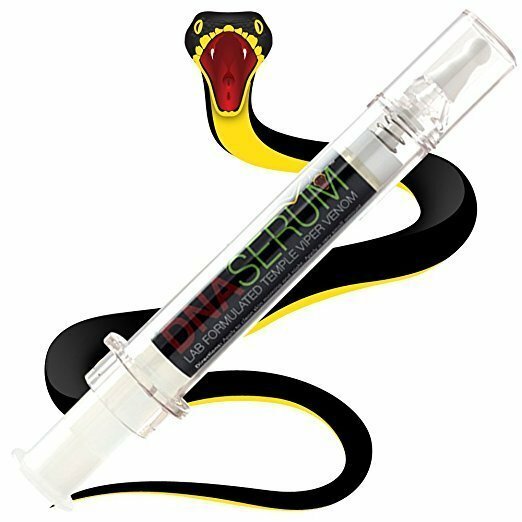 Reduce the appearance of fine lines and wrinkles around the eye area and improve skin firmness and elasticity with our scientifically designed DNA Serum, the most potent expression wrinkle filling serum on the market. 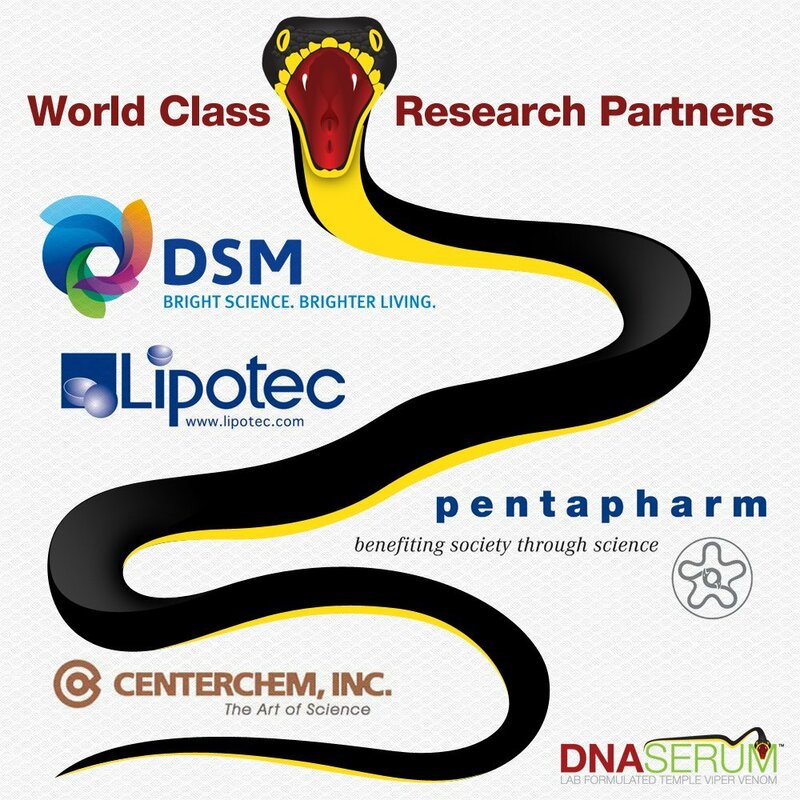 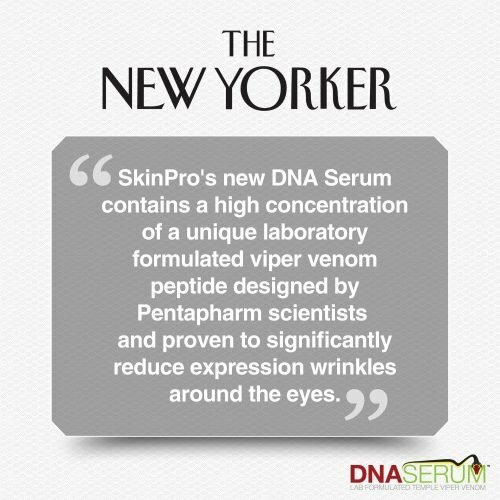 Laboratory designed by our team of cosmetic chemists, this proprietary blend contains Syn-Ake, a small peptide that mimics the properties of Waglerin 1, a polypeptide found in temple viper venom. 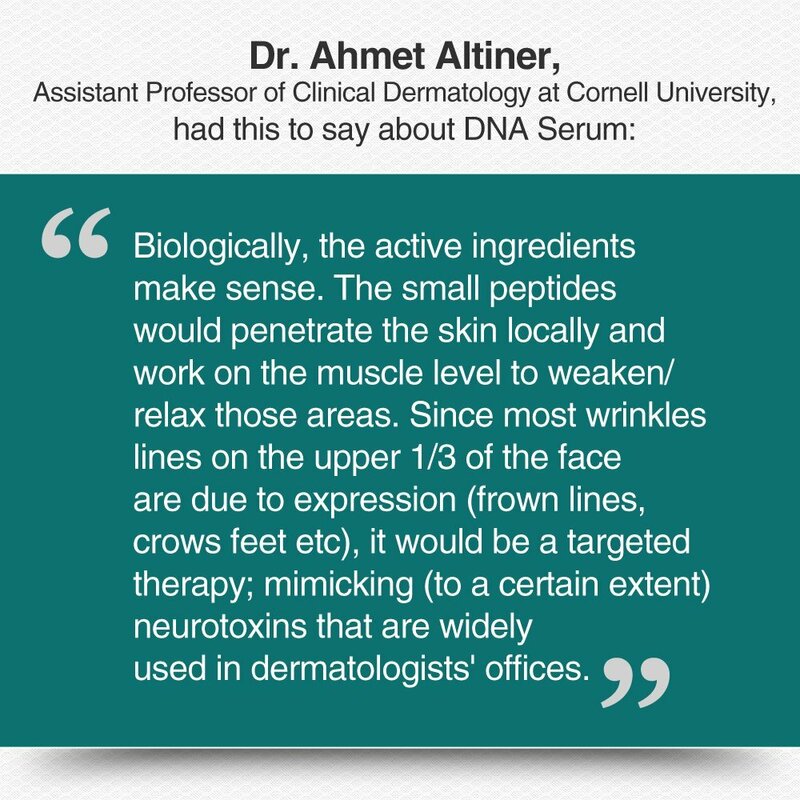 This peptide has been clinically shown to reduce crow’s feet and other wrinkles in the face by up to 52% in an 8-week study, particularly around the eyes and forehead, by inhibiting muscle contractions and reducing tension in the skin. 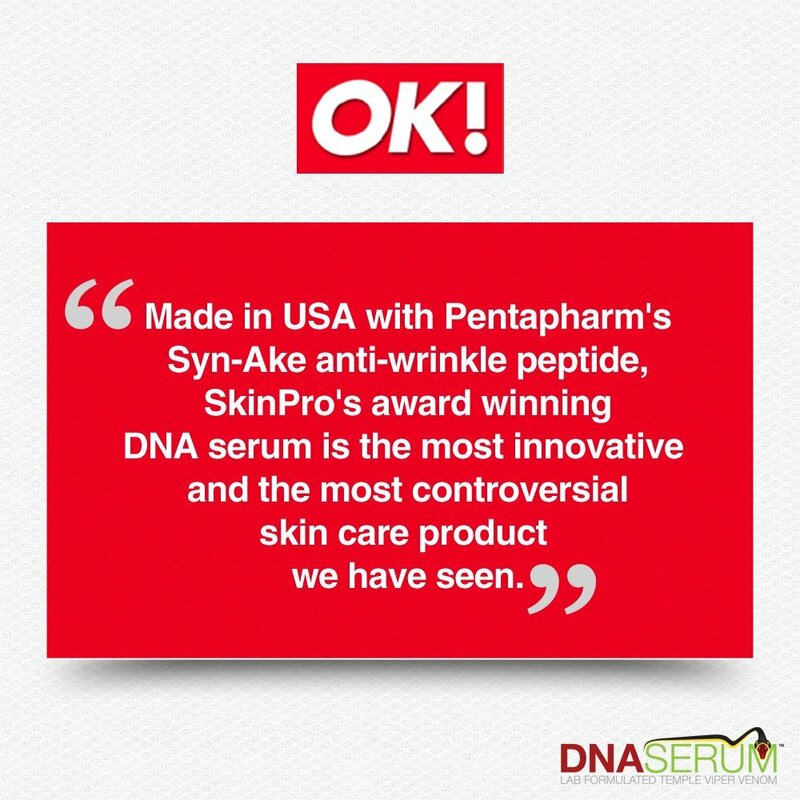 This formula also contains three of our most popular anti-aging ingredients: Argireline, Leuphasyl, and Eyeseryl. Argireline is known as a powerful active ingredient that mimic the effects of cosmetic injections, without the risk and high cost. 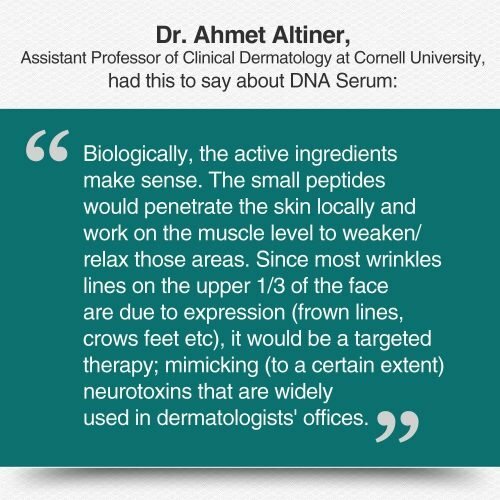 Leuphasyl is added to relax muscles by blocking nerve signals that tell your facial muscles to contract, preventing wrinkles from forming. Eyeseryl helps to reduce puffiness and dark circles under the eyes. Together these ingredients work to rapidly lift and raise the skin to fill in the appearance of fine lines and wrinkles and reduce the signs of aging. Apply twice per day to clean dry skin. 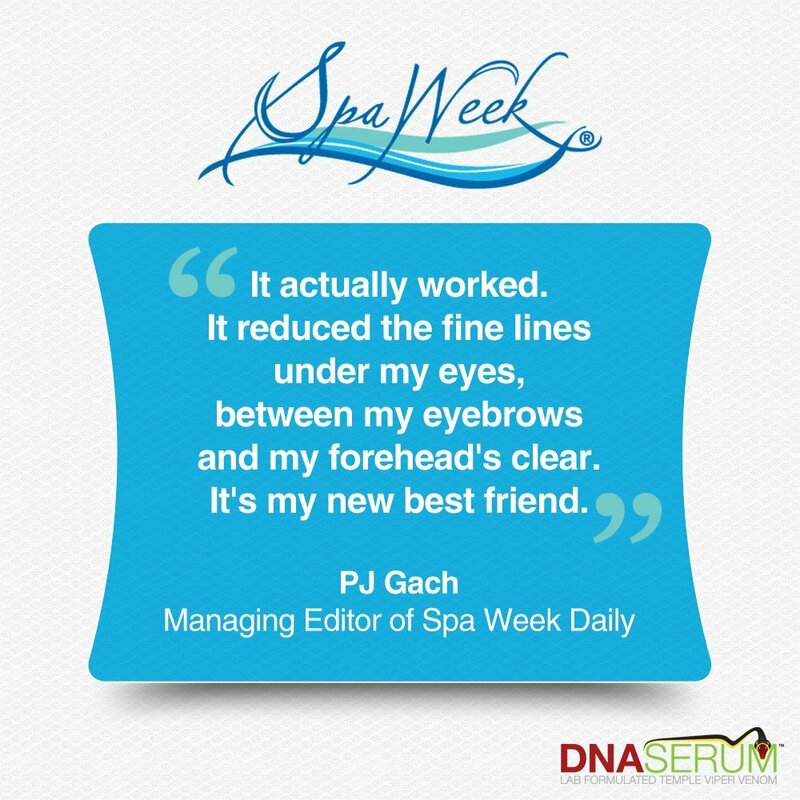 Gently tap the serum under and around the orbital bone until it is absorbed.